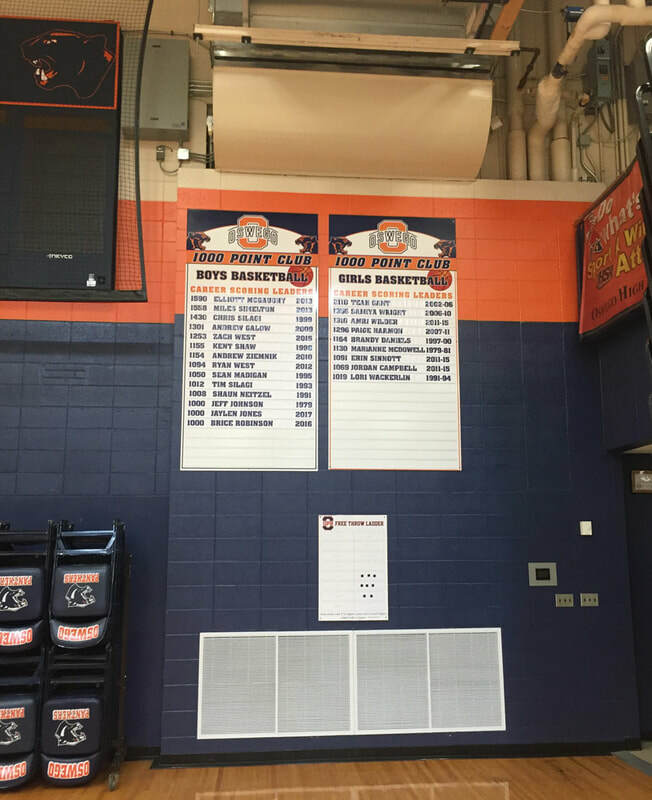 Celebrate the history and tradition of your program with our championship boards and banners. 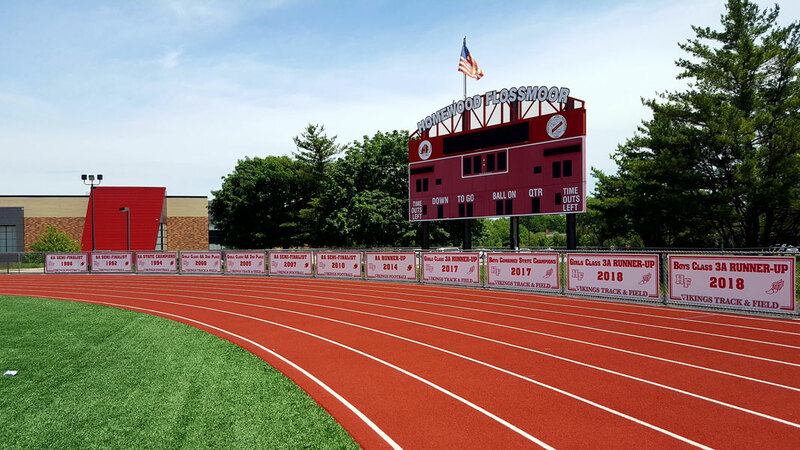 Quality materials and a custom designs come together to ensure your team and individual athlete victories stand out. 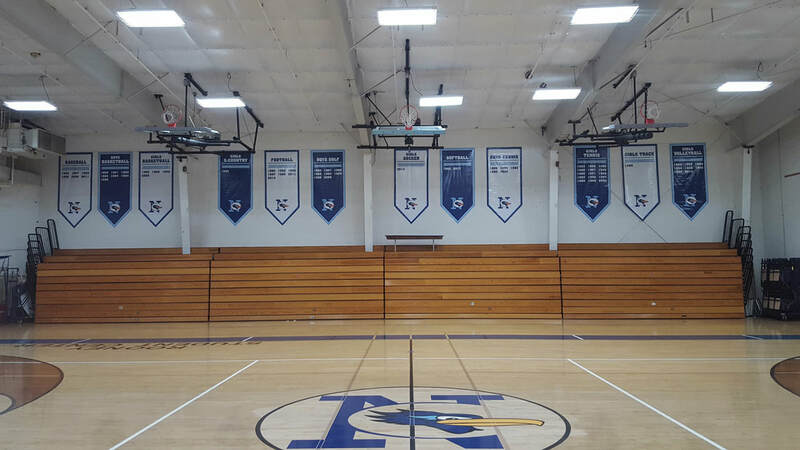 These custom boards and banners are typically divided by sport and feature one or more categories of wins such as conference, district and state appearances. 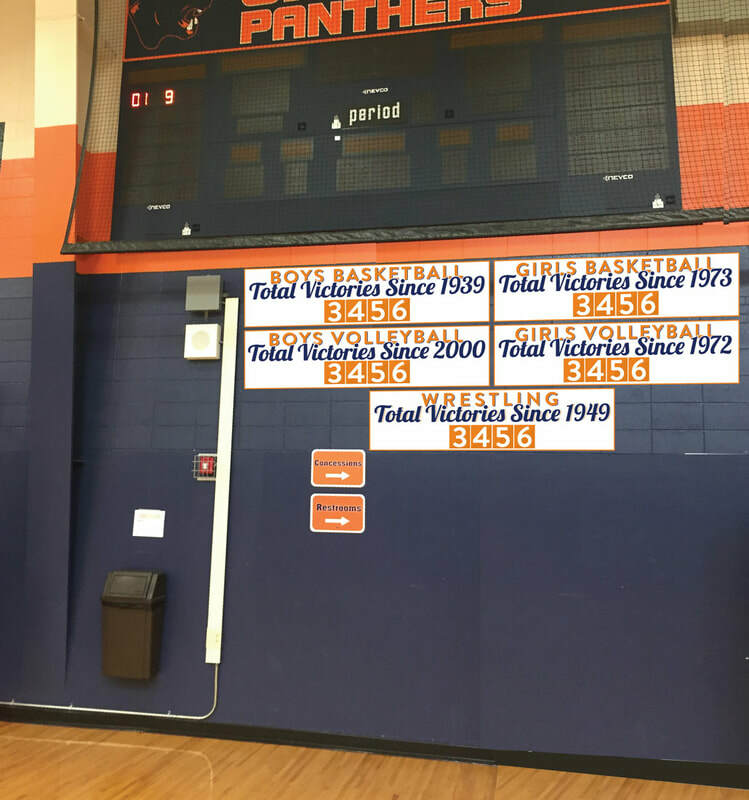 An excellent way to recognize multiple victories in a way that does not take up too much wall space in your gym. 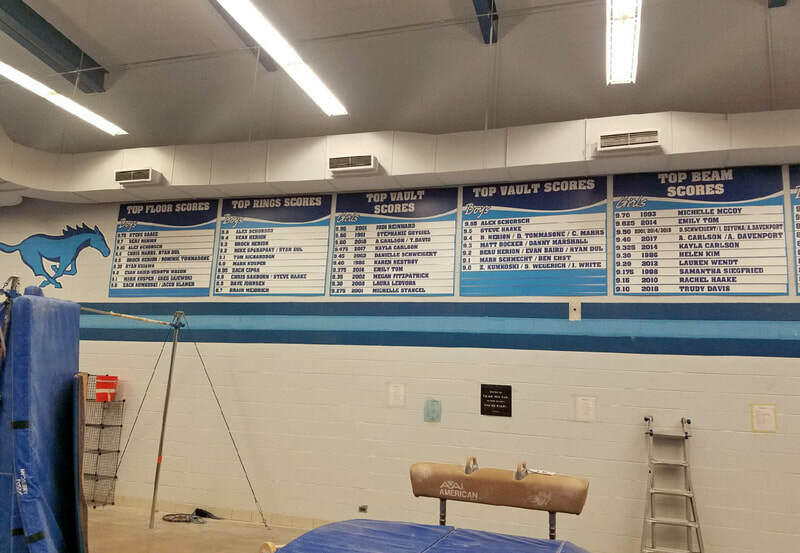 Our Slide-In Record Board is our most popular record board. 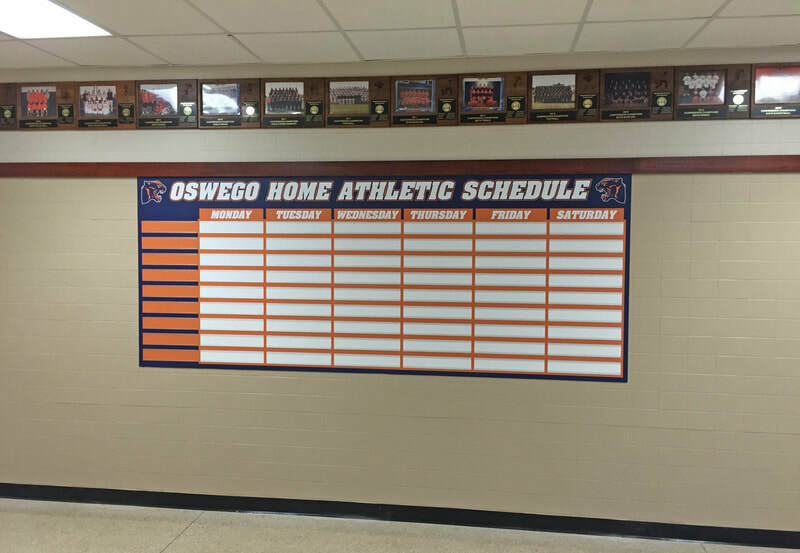 Not only do they look great, it is an easy way to update your program's records and schedules! 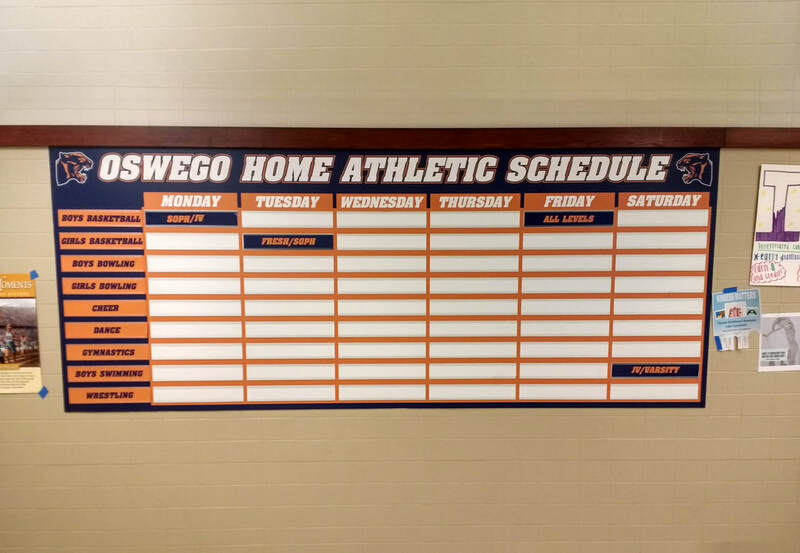 The records simply slide in and out for replacement - the simplicity of this board makes it a fan favorite! 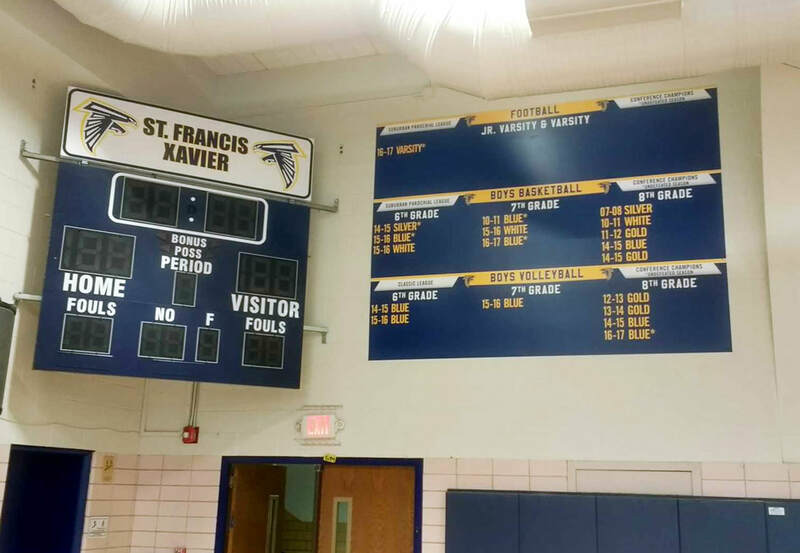 Our state cut board are the most popular when recognizing an individual or team state finish. These boards are cut to the actual shape of your state. 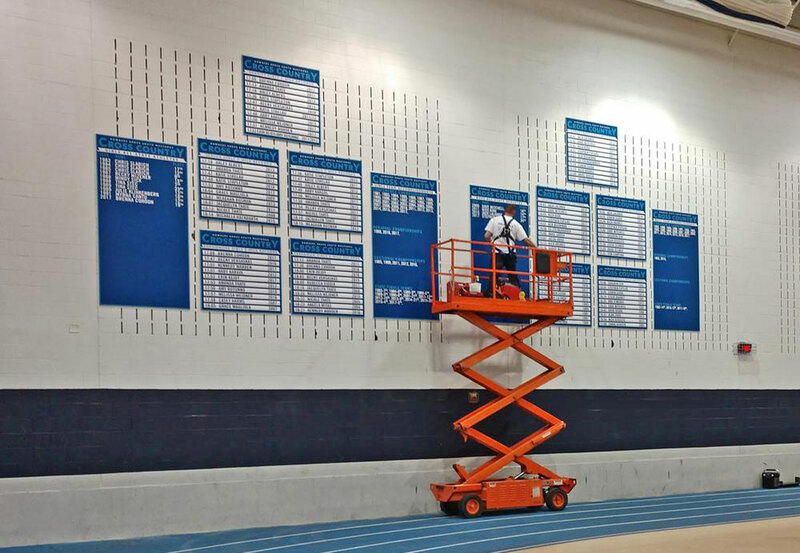 State boards can be as large as 4x8'. 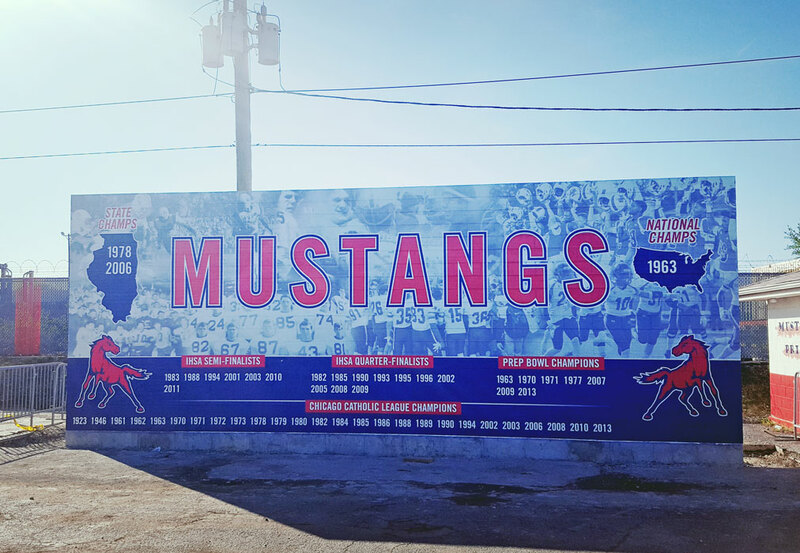 Substrates include PVC, MaxMetal, Wood or even graphics! 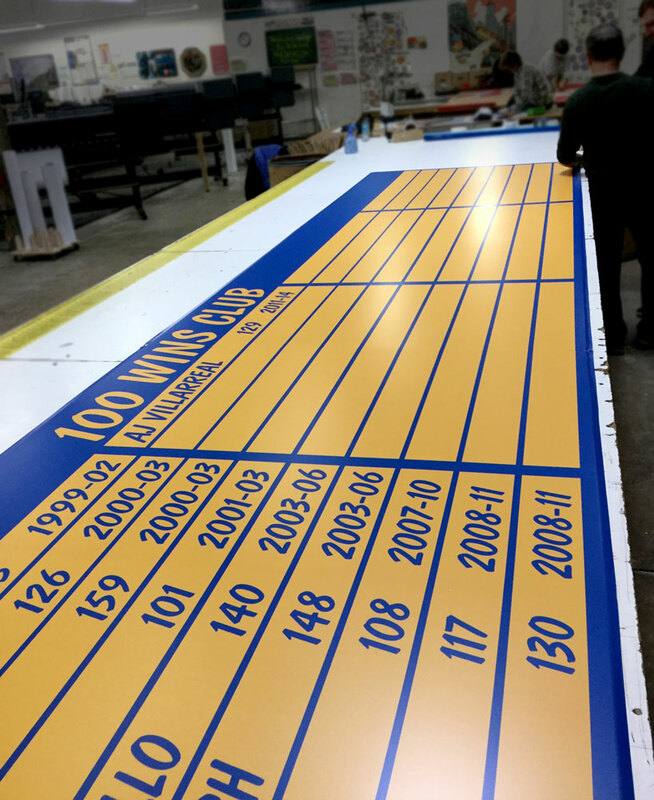 Our Milestone Boards are a perfect way to record your milestones from the beginning. 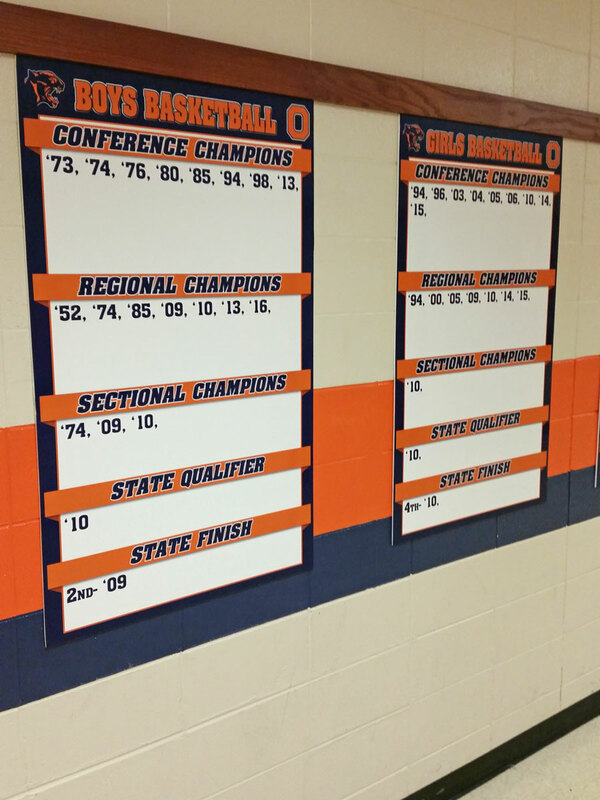 Show off your achievements while updating them each year with ease. 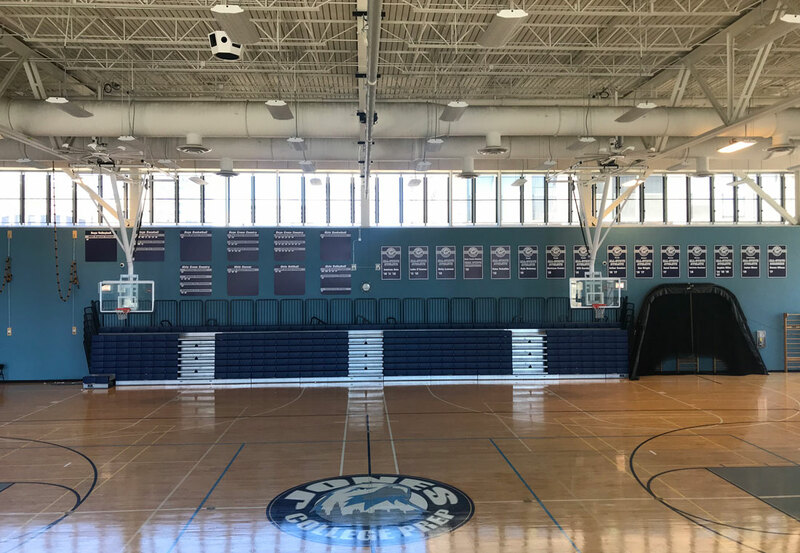 Nearly all sports encourage athletes to hit the weight room. 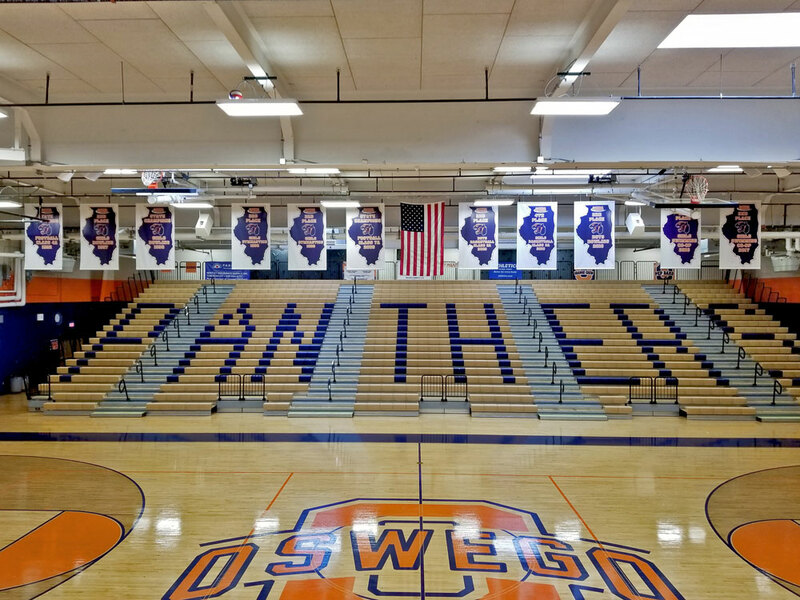 Motivate your team to get in their lifts and achieve the goals that you set. 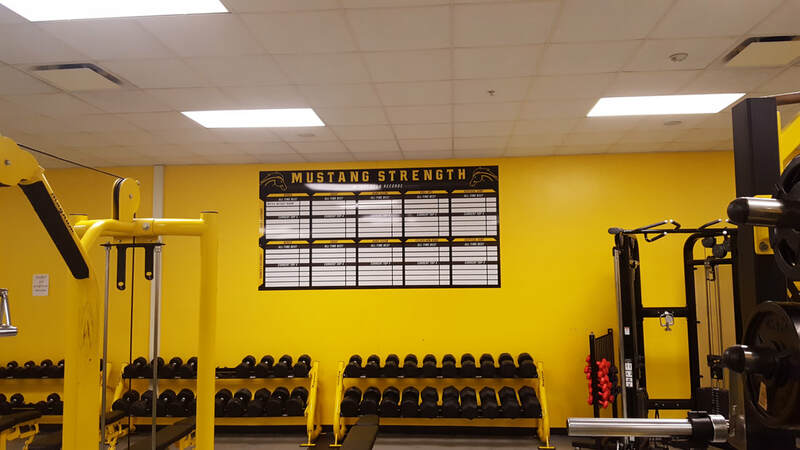 Design your strength board to get the results you need! 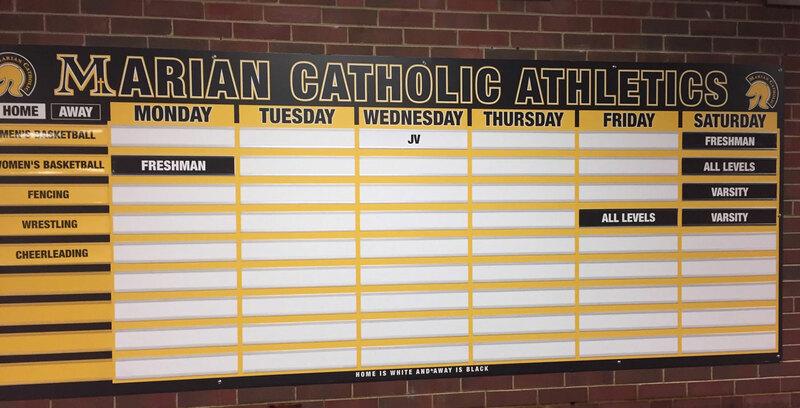 Make your players bigger, stronger and faster with a weight lifting board. 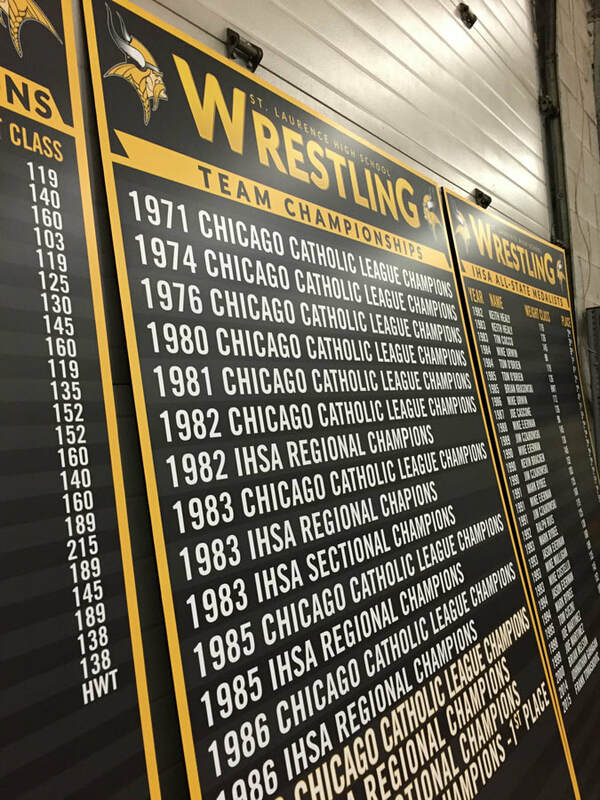 Wrestling rooms and strength goal boards are our specialty. We have designed and manufactured boards for schools all over the U.S. Let us create one for your squad.